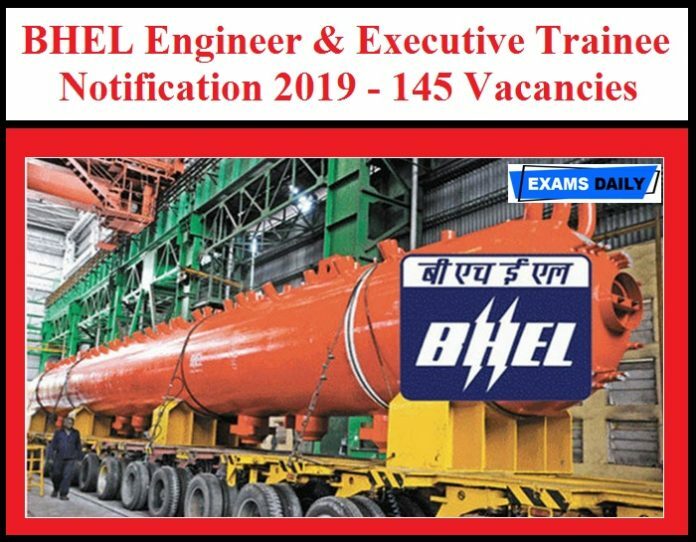 Bharat Heavy Electricals Limited (BHEL) has released Notification for the post of 145 Engineer & Executive Trainee. Applications are invited from interested and eligible candidates. Candidates can apply through Online from 16.04.2019 to 06.05.2019. For Engineer Trainee – Candidates age should be Maximum 27 years (Candidates born before 01/04/1992 are not eligible to apply). For Engineer Trainee (PG) – Candidates age should be Maximum 29 years. For Executive Trainee – Candidates age should be Maximum 29 years (Candidates born before 01/04/1990 are not eligible to apply). For Executive Trainee (Finance): Candidates should have completed Bachelor’s degree With Qualified Chartered or Cost and Works Accountants from recognized Institutions in India. For Age Relaxation details, Candidates can refer the Official Notification. Selection Process: Candidates selection will be based on Computer Based Examination and Interview. 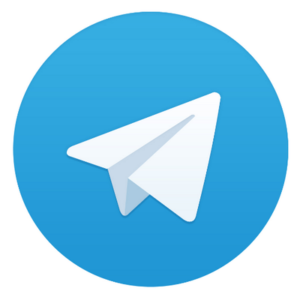 How to Apply: Applicants should apply only through online in the official website: www.bhelpssr.co.in from 16.04.2019 to 06.05.2019.